Despite a lousy day for the markets as a whole, yesterday brought a very interesting development in APTI, in the form of an enormous gap-up. We signaled APTI as a bottom-play in our premarket report on the first of this month, after the stock had begun to rebound following a dip to new annual lows a couple of days earlier. At the time the stock traded for as little as 24.48 a share. We included it in yesterdays report as well, and the new high after that incredible gap-up came in at 37.80. That marks an upswing of 54% in just under two weeks, made even more impressive by the fact that the markets tanked on the day. The rapid hike was due to Sunday’s revelation that the company would be sold in an all cash deal equal to $38/share. LL is gapping up heavily in the premarket this morning, and we want to look to take advantage of the increased volatility. With the stock trading up into the $30-range, we’re going to be looking for a possible dip and rip setup as the session kicks off. We’ll look for LL to come down off these premarket highs before ramping back up, and our targets are going to be the LL Weekly $27.50-29.50 Calls. 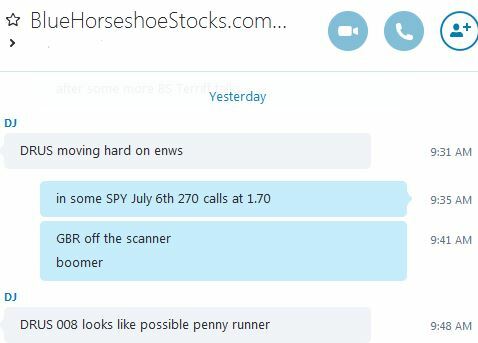 A lot of our regular readers will remember the excellent run we witnessed in MBRX not too long ago, after signaling interest in the stock back on the morning of June 21st. It went on to run from .96 all the way up to 3.75, which was followed by a precipitous decline back to the 1.30′s. We re-alerted on MBRX on July 18th as it began to cycle up for another run, and the upswing it has put together over the past couple of weeks has been nearly as impressive as the first major run. The stock has run from 1.83 back up to the 3.00-mark yesterday, so we’re really going to want to be on the lookout for it to test that previous swing high if it can continue on its bullish pattern. Among our extended watchlist plays slated for observation in yesterday’s premarket report, was DXTR, a stock that we intially tagged on June 1st, and in which we witnessed a subsequent low of .1745. We included a second reminder on June 12th, and of course once again yesterday morning. 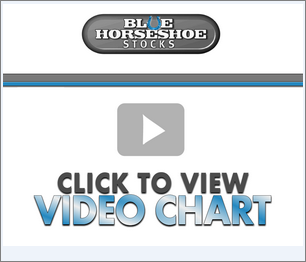 Yesterday the stock put up a fine intraday performance en route to setting new highs for us. From its daily low of .275, it ran as high as .3855, which comes out to a 40% jump. From our original low earlier this month, DXTR has risen 121% Volume over the past week has picked up considerably, and yesterday the stock traded more than five times its monthly average volume. It also held more than half of its daily gains on that volume. In such instances, we always lookout for a continuation of momentum into the ensuing session. In the wake of a hearty earnings beat on DRI, whose chains include Olive Garden, Red Lobster and LongHorn Steakhouse among others, we focused on some options ideas, the DRI 07/21 $90-97.50 Calls. While the moves weren’t quite on the level of many of our options calls, which often yield percentage gains in the hundreds and thousands, there’s still plenty of time before expiration and all the contracts in our observed range got off to a solid start. As we pointed out, these contracts don’t expire for a few weeks, so we’ll continue to keep an eye out for further activity in DRI. We want to keep SPHS on watch as well. We tagged this as a bottom play on Monday, and it has since made a modest move from a low of 2.07 to 2.41. While it just works out to a nominal gain of 16% so far, we’ll remain interested for as long as it maintains its new trend of recording higher highs and higher lows as it has each day this week.